Chromecast is a small device created by Google that supports video casting from a mobile phone, tablet, or laptop straight to a local TV. Another mini gadget, Chromecast Audio, allows to do similar things with music. It can be plugged into any external speakers in the house and streams audio from your device through WiFi. Now, Chromecast is supported in Cincopa’s Video and Audio players, and that means you and your users can cast media files with a single click, without any installations or extra code. Unpack your Chromecast device and plug it into an HDMI port on a TV. WiFi connection must be enabled. Chromecast Audio supports the following inputs: RCA, 3.5 mm, Optical. Open a Cincopa gallery and launch the video/audio player from your mobile device or laptop (iOS, Android, Mac, Windows, and Chromebook platforms are supported). 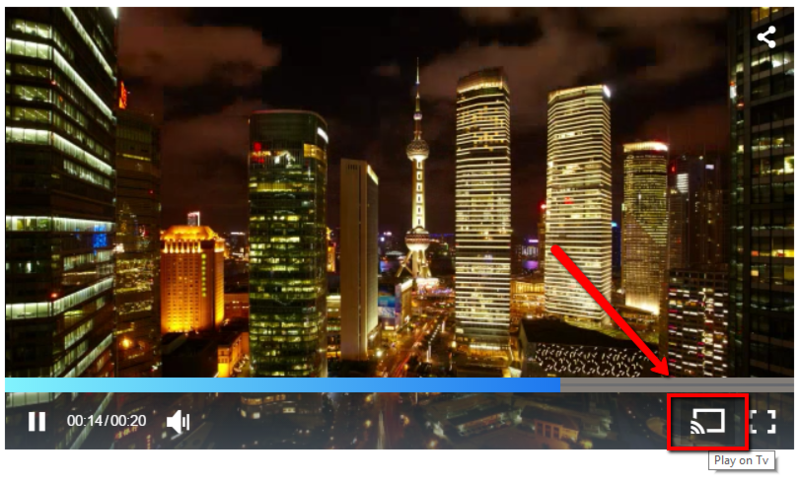 Tap on the Chromecast icon in the player’s control panel. Start casting your video or audio!